Double Helix Optics creates vivid 3D nano-scale images so you can see structures down to the single molecule level. Explore what no one has seen before. 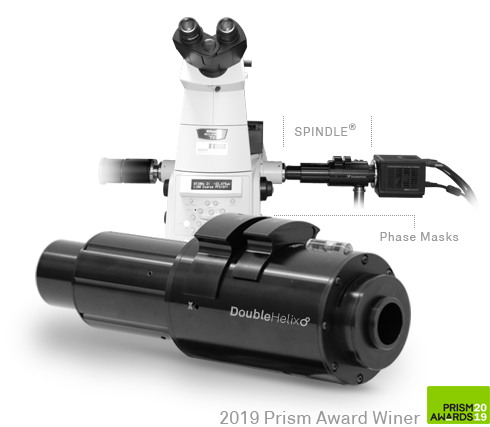 Patented Double Helix Light Engineering™ enables 3D imaging and particle tracking with the greatest depth and precision—unmatched in optics today. The SPINDLE® seamlessly integrates with your existing microscope, camera or other optical instruments. 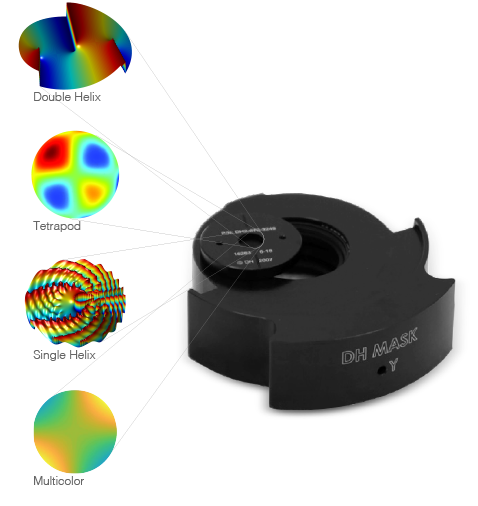 Choose from a library of Engineered Phase Masks optimized to the depth, emission wavelength, and signal-to-noise ratio that best meets your needs. 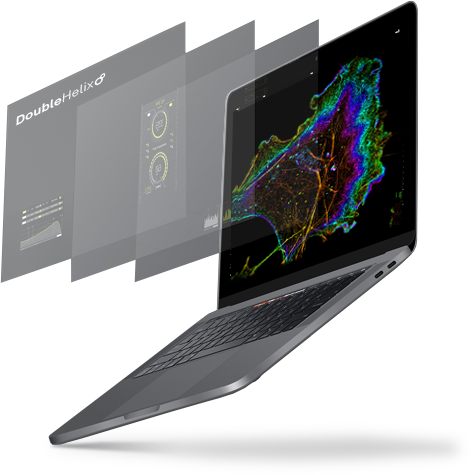 3DTRAX™ software pinpoints the location of single molecules or particles in the axial and lateral dimensions—for the most precise 3D imaging.